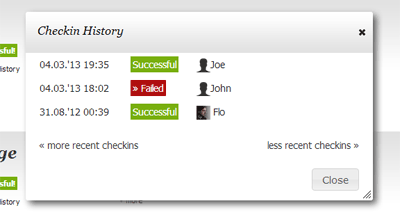 Use Checkpanel to make your QA experience as enjoyable as possible. The interface is not only beautiful but also fast. It uses modern web technology to ensure a fluent experience so that you can concentrate on your job. Take your checklist items beyond a simple one-line description. Write down a short description of each item and - if desired - a complete instruction set of unlimited length including rhich text and images. 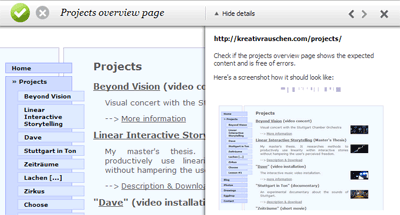 If applicable, associate a URL as handy starting point for your testers. Know that feeling when a test fails and you are sure that it was just working but you can not quite remember when that was? Just open the check history and see a complete list of past checks. When reporting an error, optionally add detailed information about it so that your teammates immediately know where to look. Set for each item when it should be scheduled to be checked again. See a list of all items over all checklists which are due to be rechecked now. 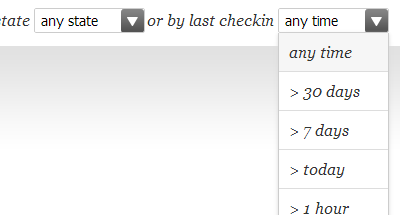 When checking your items with associated URLs, use the Checkpanel toolbar for quickly reporting the check result without leaving the page which is being tested. 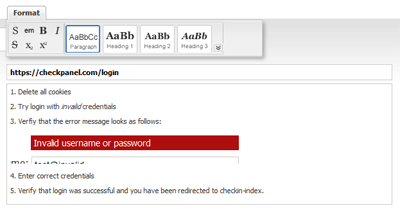 Use it to navigate within the checklist right on the test site. 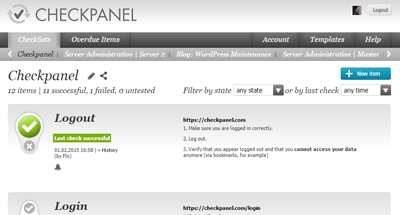 If you are checking web based items, let Checkpanel do the checking for you. 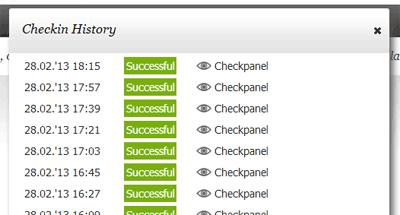 Checkpanel can automatically visit the URL of a item frequently and make sure it is retrievable. Optionally, you can also specify text which should or should not be contained on the requested page. 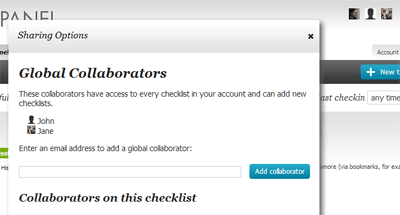 Give your teammates access to single checklists or to your whole account. 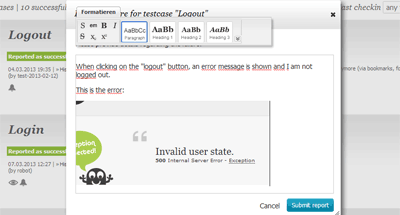 Be notified when team members report errors.